Arrow Down Get free trial now! Your team can easily design — from wireframes to prototypes — then share their work with others, making collaboration a breeze. Design in UXPin then invite the right people at the right time to gather feedback. Choose from 900+ regularly-updated UI elements and pattern libraries, or build your own. Adapt your design for any device with built-in breakpoints. Adapt your design for any device with built-in break-points. Adapt your design for any device with built-­in break­points. Export your work in HTML for painless handoffs to developers. UXPin is used by the best designers on the planet. Join them now. 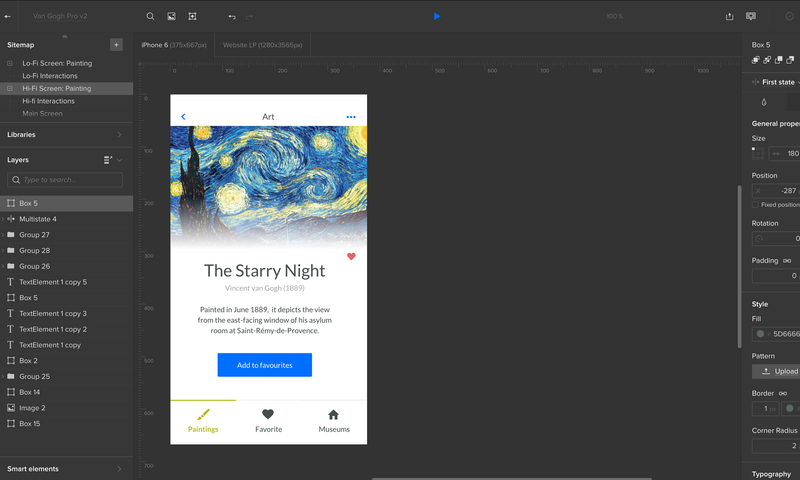 UXPin has made it fast and easy to create our wireframes and design. It has also made it easy for the entire team to interact and share feedback and changes on designs right in the app. Our team loves the speed and ease of use that UXPin provides when creating interactive prototypes. We save so many time when collaborating with developers and other teams across different continents. I just wanted to say I really love UXPin. As an architect for internal business web sites, I am spending about 85% of my time on UXPin. Great product!